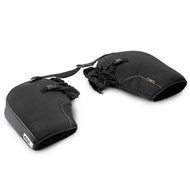 Dainese Wave D1 G1 Back Protector. With rigid corrugated perforated external plates. Internal part lined in double front fabric. Inner nucleus with NidaplastÂ® honeycomb structure. This protection is certified according to normative EN 1621.2/2014 level 1 and is compatible with the prepared Dainese jackets. The G1 size is more indicated for jackets from sixe 40 to 48. The G2 size is for jackets as of size 50.